We will certainly not be mistaking saying that website performance is the most important thing for every online user. Many website owners work hard to improve it and make it work smoothly no matter where the visitor is located.One of the most effective tools to improve their website performance is using the CDN — Content Delivery Network or Content Distribution Network. There is a number of benefits of using these services. 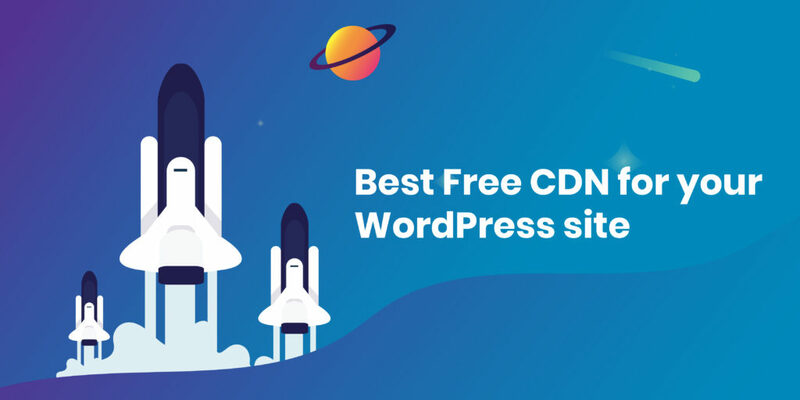 In the post, we will review what the CDN is, so how is it improves the website performance, and how to activate free CDN on your WordPress website. CDN or Content Delivery Network can actually be called the basis of the Internet, and, as its name implies, it is responsible for delivering content within the network. Most people don’t even realize how often they use a CDN. Every day, reading the news on news portals, making online purchases, watching videos on YouTube and even hanging out on Instagram, Reddit or Facebook — you use CDN.Initially, most websites operate on a similar principle: the site code is hosted on the server (hosting), and visitors access this server to get the pages they need. This approach is not that bad until you do not have too many visitors at one time — for example, if you have up to 100 people on your site every second, then the average server will cope with this load, although the site load for each user can be seriously slowed down. If you give a good advertisement, and hundreds and thousands of people begin visiting your website, the server may fail and become unavailable for everyone.The server, no matter how good it is, has its limitations — the processor speed and its performance, the amount of RAM, the hard drives reading or writing speed, the network interfaces speed. And your site, in its turn, to give the visitor the necessary information, has to get the necessary data from the server: get the text of the article from the database, get images from the hard drives, stylesheets and site template, use a processor and RAM to insert the text of the article and images into the site template, then use the network interfaces to send the compiled information to the visitor.Thus, you can calculate the server load for each page refresh, and get the maximum number of visitors to be processed without slowing down. We will not count, just make a logical conclusion that an inexpensive or old server can manage a few clients at the same time, a good server can serve more clients. However, this number is not unlimited — sooner or later the limit will be reached, the site will run slower and slower, and finally, it will completely stop serving new visitors due to lack of resources.Another popular reason for a slow page loading is the distance between the server where the site is located and you. For example, your visitor will come from Australia, and the server where your site is stored is located somewhere in Europe or the USA. Due to the huge distance, site loading speed will be very slow.CDN helps solve these two major problems. This is something like a global network, which has an extensive network of servers around the world and helps to reduce the load on your server, as well as reduce the waiting time due to downloading some content from a nearby server. Nowadays — the time of digital technologies — time is very expensive and we do not like to wait, especially when it comes to waiting for the page to load. Will you wait more than 5 seconds before the site loads? We don’t think most people will wait — they will just leave the site. Simply, you can imagine your website as a library, and a CDN provider as a librarian. A visitor comes to the librarian and says: “I need an article about cats.” The librarian goes to the archive, takes the requested article and gives it to the visitor. He puts several copies of the same article on his desk. When a new visitor comes and asks for an article about cats, the librarian will not go anywhere, but will immediately give the visitor the article that lies next to him on the desk. If you change the article, the librarian will receive a new version and will give it to the following visitors. CDN uses caching technology to store a copy of the site in a certain number of locations around the world. That is why, no matter where you live — in Rome, New York, Berlin or anywhere else — all the information and the website content, stored in several locations, will be delivered from one of the nearby servers. Caching is the option of storing the information so that, if necessary, it can be delivered faster. In other words, the CDN simply stores the contents of the site in several places around the world, allowing users to access it faster. Therefore, if someone from Budapest wants to access your site located on a server in St. Petersburg, he will receive most of the content from one of the servers in Europe. This is much faster than he would get it from the website’s home server. In addition, your server will be used much less frequently, since most of the information will be stored (cached) on the servers of the CDN provider, and the visitor will receive this information from servers that will be located closer to him. More importantly, these servers are designed for a large load — they count billions of visits every day. A speedy website always gives an increase in conversion and sales. Delays and speed issues — the main enemy of online business — are the most common causes of failure. Often, a successful conversion and user refusal are separated by only a few seconds of delay. A reliable CDN always guarantees more than sufficient download speed and trouble-free online transactions. More than a third of the world’s population is web users. It means that today the Internet influences our lives much more than 15 years ago. CDNs provide a localized point of presence (POP) cloud acceleration solutions. Global coverage allows you to eliminate any delays due to large distances — they affect the transaction and reduce the download speed. The implementation of CDN leads to a significant reduction in business expenses. Instead of investing in infrastructure and spending lots of efforts on working with individual service providers around the globe, using global CDN services eliminates the need to pay for expensive international hosting — this is a net saving. Only a global CDN can provide a single platform for processing all individual transactions from the most remote regions of the planet at a reasonable price. In addition, many modern CDN providers also offer a free SSL or TSL certificate, which means that all data is transferred via the encrypted connection. A lot of respective CDN providers offer free SSL certificates. Providing the availability of resources in many regions of the Earth, CDNs have automatic mechanisms for determining the availability of the server with instant redirection of users. As a result, content delivery systems websites are 100 percent accessible even during massive power outages, hardware problems, or network issues. Switching to CDN will drastically reduce server load by effectively using backbone networks, interconnect, public and private peering, as well as freeing the channel, increasing its bandwidth and reducing delivery costs. Essentially, the content is located on several servers at once, and not on one large shared server. In addition to huge financial losses, DDoS attacks damage the reputation and image of the companies under attack. Whenever customers enter their credit card numbers when making a purchase online, this means they trust the company. The number of DDoS attacks is growing steadily, leading to the development of new ways of Internet protection. This is an additional argument in favor of the CDN because the cloud is an additional level of security. Cloud solutions allow you to stop the attack before it reaches the data center. CDN will take over the traffic, freeing the site from overloads and operational problems, and it will work quickly and reliably. This is when someone chooses “Copy Image Address” for an image hosted on your site and includes this source URL in his resource. This is usually due to the careless work of content thieves but can lead to additional workload if a thief shares a link to his site on major social networking sites such as Facebook or Reddit. Obviously, your server will suffer from it. Many providers offer very good protection against hotlinking. Despite being so useful, there are the categories of websites that will benefit the most when using them. First of all, these are the projects targeted at users from all over the world. For example, resources like Wikipedia. Second, these are the sites using video streaming — these can be various online cinemas and something like that. Lastly, these are huge media portals that store a lot of information, for example, galleries or photo stocks. But besides the listed giant sites, CDN is also perfect for small resources like online stores, news portals, forums, etc. Why? Fast loading speed has never affected anyone. Quite the opposite, it has become a predominant factor compared to competitors who do not use this service. Initially, CDNs were intended only for static content (JS, CSS, HTML). You had to send content when you created or uploaded it. They did not know that they needed to update the cache with your content, even if someone requested it. Then the source pulling was added, which allowed everything to be automated — this meant that when the user requested the CDN URL, the CDN automatically requested the URL of the source site, caching the content after it was returned. In addition, accessibility has become an important factor. Many CDNs now cache the “last live” website status. So, if the source website fails, the content is still available to users on the CDN servers — it creates an illusion of stability until everything returns to the norm. In addition, modern CDNs often offer automatic optimization levels that automatically resize images and save them for future use depending on the desired image size. This means that if your site contains a 2 MB header image, and someone requests it on a 300 pixels wide screen, CDN will make a copy of 30 KB and 300 pixels wide and will serve it in the future for all mobile users, automatically making the site faster. The last level of functionality added to the CDN was protection against DDoS and bots. CDNs like Incapsula specialize in this. Since CDN is the outer layer of the website infrastructure and the first traffic recipient, it can detect DDoS attacks earlier and block them using special DDoS protection servers, called scrubbers, so that the attacks never reach the source server. In addition, using the data gained from numerous clients, CDN can learn about suspicious IP addresses, spammers, bottlers, even certain types of scanners and their behavior. For example, a scraper works on site A, as soon as it is identified, it will stop working on site B, if this site is protected by the same CDN because the traffic filter recognizes the pattern it has seen before. When certificates appear to be vulnerable, CDNs usually react quickly because they lose a lot (theoretically, all their clients). Therefore, they usually fix the issue before most people even know about a security hole. Faster connections, because if many websites use the same CDN, you have already established the correct connection and mutual trust with the CDN through its SSL certificate. Also, this process should not be repeated for each site using this CDN certificate. This does not affect the individual website as it does the entire network. Cloudflare is number one on this list because it is probably the most well-known free CDN solution. It also has the additional features to ensure the website security, which makes it more profitable than some other free CDN services in the list. 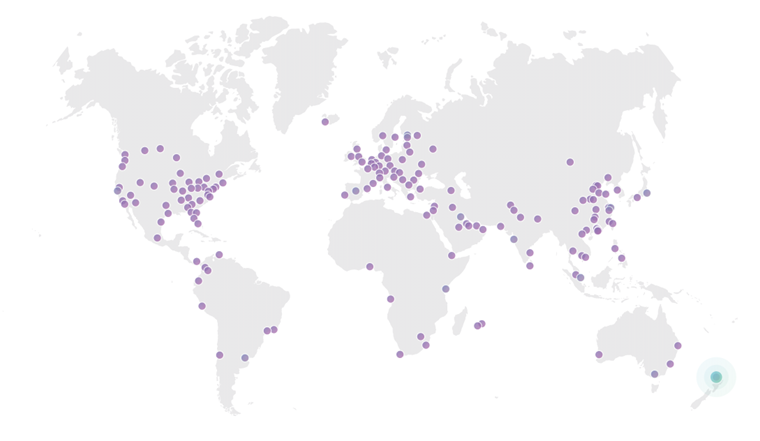 Cloudflare caches content across the global network and delivers it wherever the closest visitors are. One of the main advantages is that Cloudflare does not charge for processing speed — it is 100% free. Some other CDNs are free only to certain limits. In addition to the CDN, the free Cloudflare plan provides limited protection against DDoS attacks, as well as a free SSL certificate. 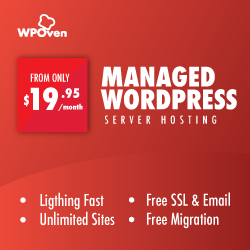 Easy integration into WordPress with the plugin is a great bonus. Cloudflare provides over 4 million online resources. They claim that a regular website that uses their branded CDN loads twice faster, and this is due to a network of points of presence located in 165 data centers around the globe. page rules, allowing you to set parameters for specific pages. Setting up the site takes less than five minutes. This is a very profitable option to optimize speed and improve security. When the security has a high priority, it makes sense to think about PRO tariff or even more advanced plan with the application firewall, image optimization, optimization for mobile devices, and much more. It is worth noting the work with Cloudflare applications. It allows you to easily implement certain features without additional installation. For example, you can use Google Analytics, Pingdom Swiftype without making changes to the code. Incapsula is a free CDN. Like Cloudflare, its work will always be 100% free, no restrictions or trial periods. The free level also includes bots protection to protect the site from malware attacks. The platform also helps easily perform two-factor authentication for your site to guarantee even more security. The installation process for Incapsula in WordPress is the same as on Cloudflare. All you need to do is to add the WordPress plugin, create an Incapsula account, and change the DNS in settings. real-time statistics, uptime monitoring, weekly reports, traffic statistics. For a commercial website or online store, you can choose the Business or PRO plan. In the paid versions, they offer more features, including DDoS protection, a firewall for web applications, a load balancer, etc.Incapsula points of presence are located in 44 data centers, which allows you to send content to your users from the nearest server. If you use the Jetpack WordPress plugin, you already have access to the basic free CDN. Jetpack Photon allows you to use WordPress CDN to download images from various WordPress servers. To get started with Photon, you need to install and activate the Jetpack plugin. Then go to the Jetpack settings, scroll down and turn on the Photon module. While images make up the basic size of most web pages, you will not benefit from Jetpack CDN for non-graphic files. This is certainly a very important factor. 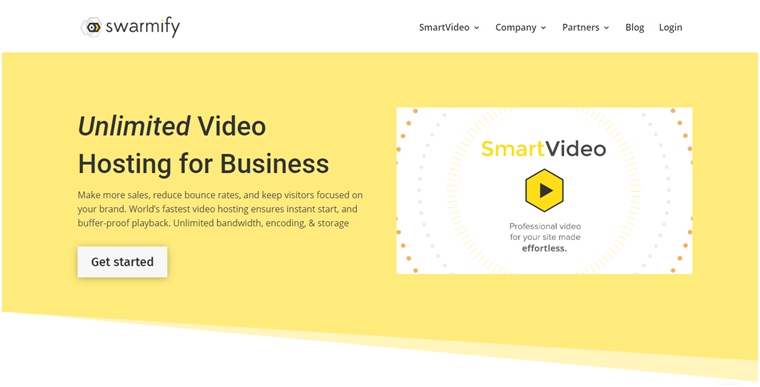 Swarmify (known as Swarm CDN) is a free CDN service with a special WordPress plugin for easy implementation. Just like the Jetpack, Swarmify deals only with images. Swarmify can work offline or with an existing CDN. It delivers fast delivery of images using its hyperlocal geo-serving technology. Every month you will receive 10 GB of free image transfer. If you use a site with very large traffic, this limit may be exceeded, remember this. Every 1 GB over 10 costs $ 0.05. But for most WordPress users, 10 GB is enough. Amazon CloudFront is a content delivery service with 1 year of free access to a CDN based on the largest technology company Amazon. Amazon CloudFront delivers content from a large number of global data centers. In fact, you can check out the full list here. This is an extensive list that should make improvements in speed no matter where your visitors are located. Amazon CloudFront is more complex than other free CDN platforms on this list. But this is because it offers much more flexibility. And there are a few more WordPress plugins that seamlessly integrate with Amazon CloudFront. A good option is WP Offload S3 Lite. This plugin makes it easy to upload files to the Amazon delivery network. After a year of free maintenance, the cost of using CloudFront will be about $0.10 per 1 GB. The exact price per GB depends on the location of your content. 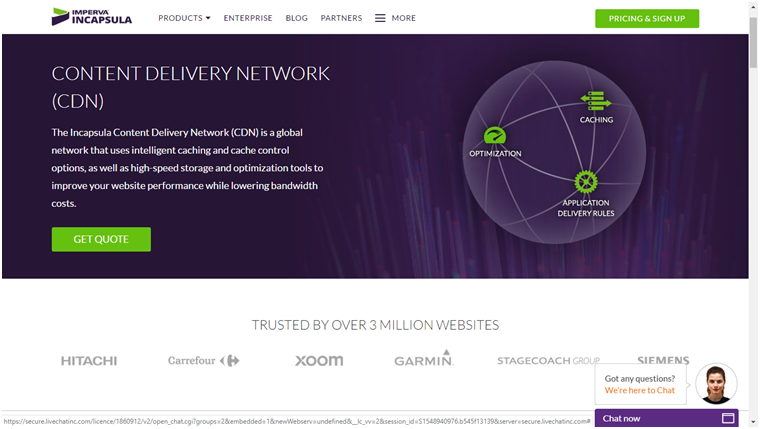 Content Delivery Network is a great solution to improve website performance and reduce the page loading time. If you are not ready to pay for premium solutions yet, there are good free CDN services. they provide great results and necessary basic functionality. Which of them will you prefer?